I think we overused the Greenday references last year, so we shall refrain from talking about sleeping in September. So, let’s talk about working out. 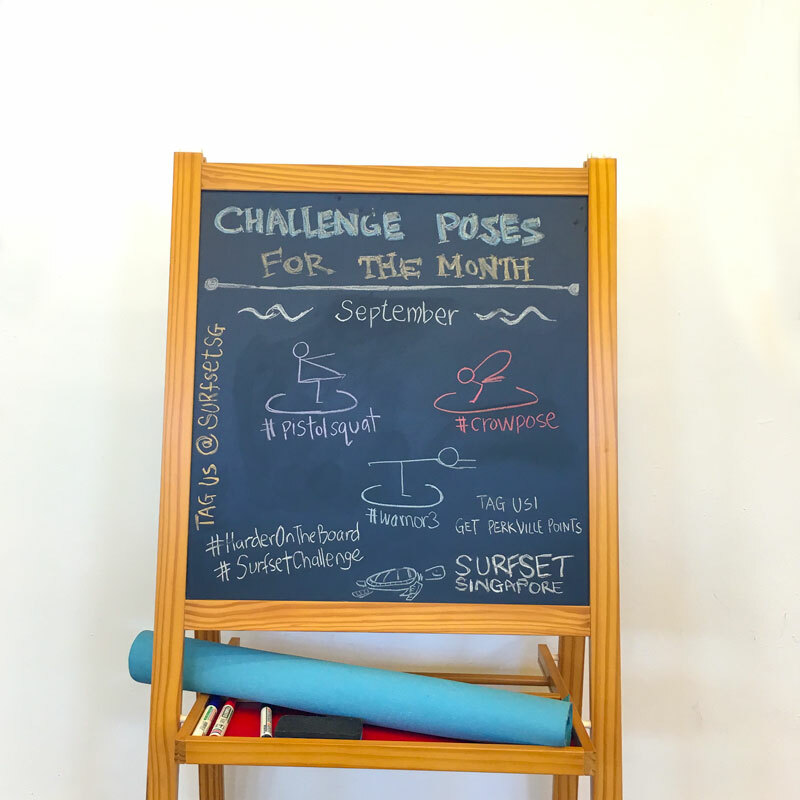 Challenge poses for the month of September are up! We’re going with some pretty challenging poses this month. Hey, look, it’s not a yoga pose! This single-legged squat is all about stability and strength. If you do it right, there’s also an element of grace. It’s not an easy move to do on solid ground, and it’s even harder on our boards. That’s why we’d like to see you do it! Stand on your right foot and lift up your left knee towards chest (or vice versa, if you prefer). Reach out with your corresponding arm to gently hold your left toes. Extend and straighten your left leg, keeping it perpendicular to your supporting leg. Reach out with your other arm, putting it straight in front of you. You’re now using both arms to counterbalance. Hinge from the hips, keep chest forward and hips back. Bend your supporting leg and slowly lower yourself down. Keep lowering yourself down until you are squatting in position. At this point, you should feel your body screaming. 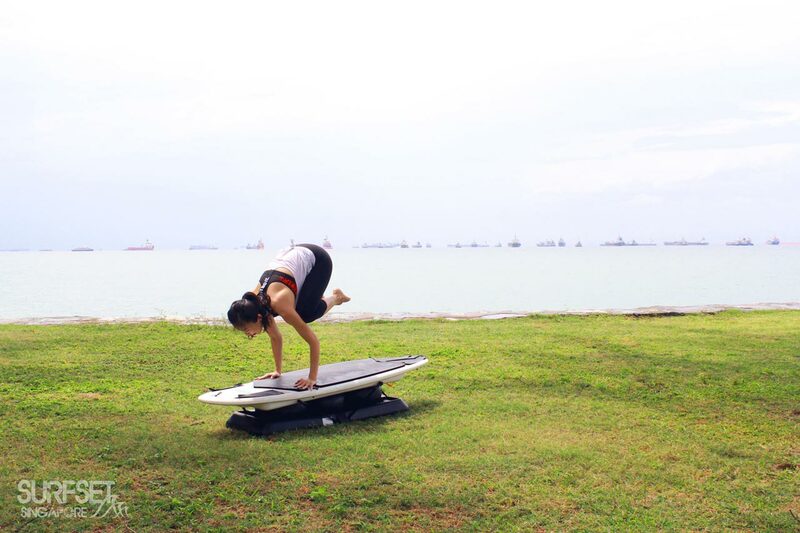 Lower yourself as much as you can, without touching the ground (or board). 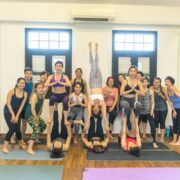 In this pose, you should ideally have your right hamstrings resting on your right calves, non-supporting leg straight out in front of you, and with a big smile. Take a photo. For extra points, slowly get back up by reversing the steps. Keep heel on the board at all times! If your heel lifts off at any part, work on more mobility, strength and stability exercises before trying again. Safety first everyone! There’s a fair bit of Pokemon madness going on, and if you have been following us on Instagram, you’d notice we’ve been catching a lot of baby crows in the studio. Well, it’s time for them to all grow up and become crows! 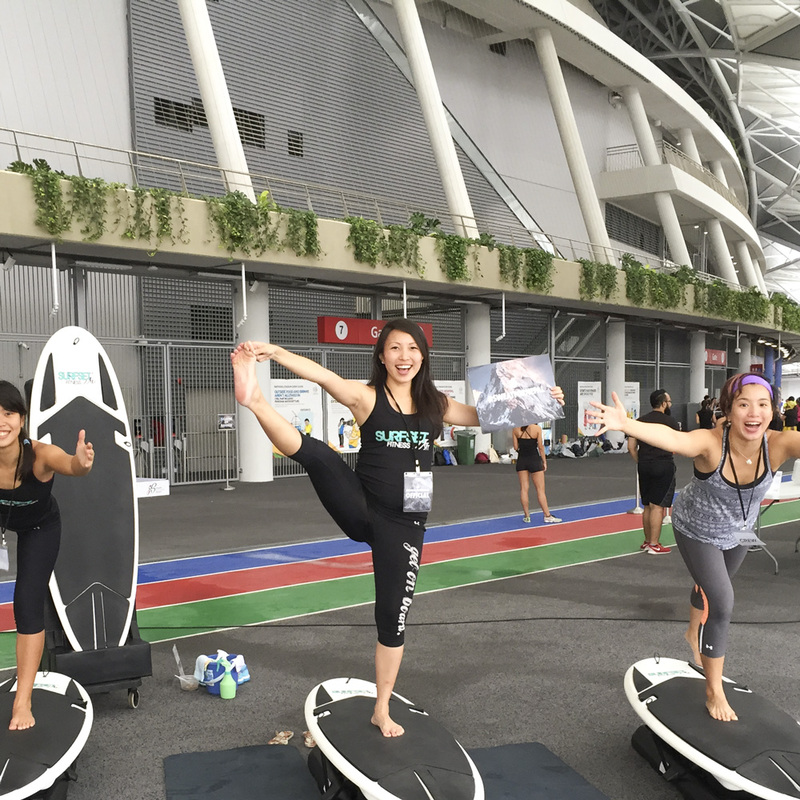 Fly on our boards with a crow pose. Evolution complete! Find the sweet balancing spots on the board. From standing, squat down and place your palms on the spots, keeping palms shoulder width apart. Make sure your fingers are spread wide apart for more support, like a crow. Press evenly across the palms, knuckles and finger pads. Keep your gaze forward. Lift onto the balls of your feet and round your back and draw your abdominal muscles in firmly. Keep leaning forward until your feet lift off the board. Draw your feet towards the buttocks and fly! The yoga warrior poses is something we enjoy challenging our participants with. Warrior III brings it up a notch (or two), since now you’ll have to balance on just one leg. Hinge from the hips and lift right leg up as you lower your torso towards the floor. Bringing your body parallel to the board and form a letter T.
Take things up one more notch by trying out this Warrior III variation with a friend! It may not be a proper Warrior pose, but it’s fun! There’s a lot of balancing involved in these poses, so it’s a big challenge on our unstable boards. Come on by and don’t be shy, we’ll help you out. 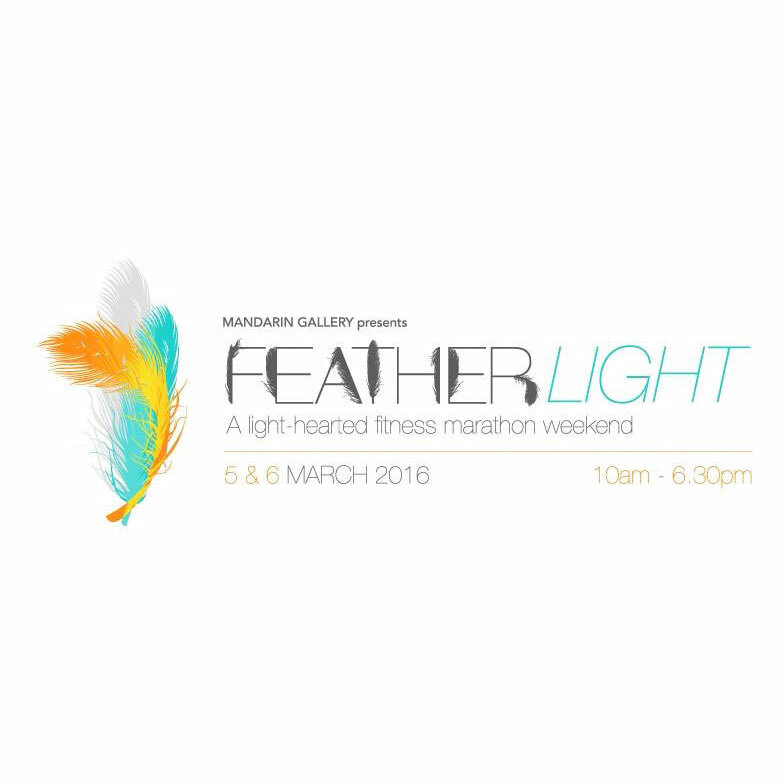 See you at our studio soon!